Frog in a pocket: Glow in the dark playdough. 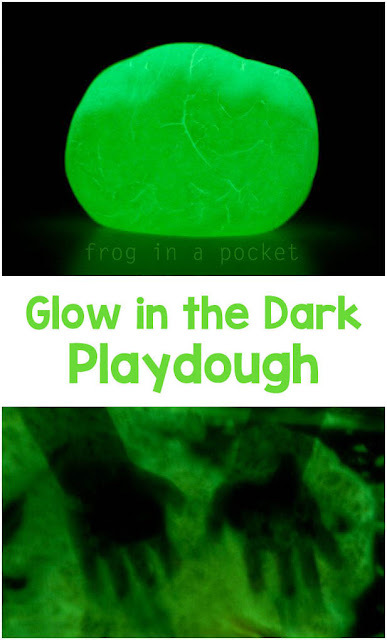 Glow in the dark playdough. 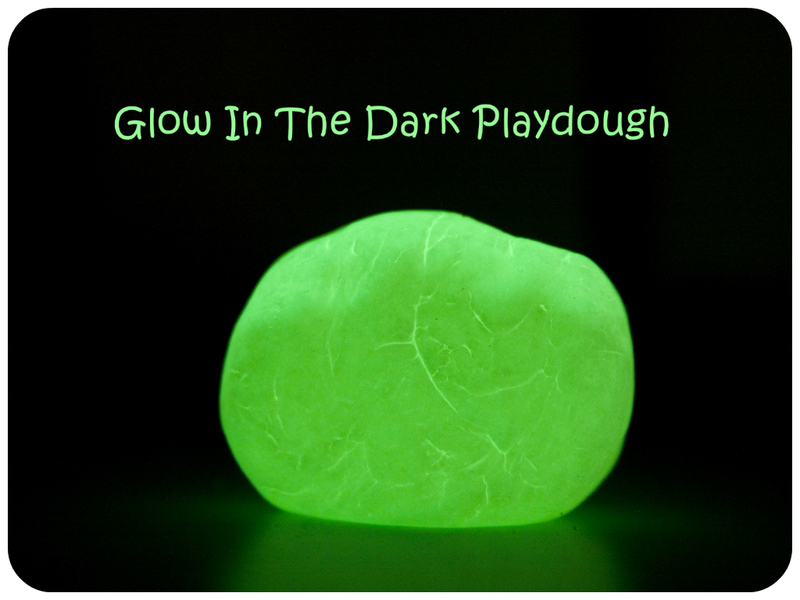 If you are looking for some exciting kids activities that keep them occupied during long evenings this glow in the dark playdough is perfect. Science and messy play in one. It is easy to make and you can easily turn it into a glowing gloop. 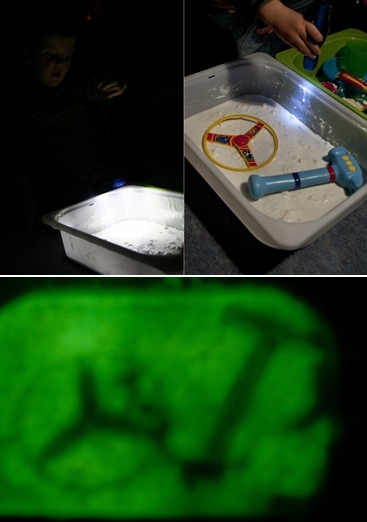 it gives your child lots of fun and opportunities to experiment with light. And you do not need back light for it! 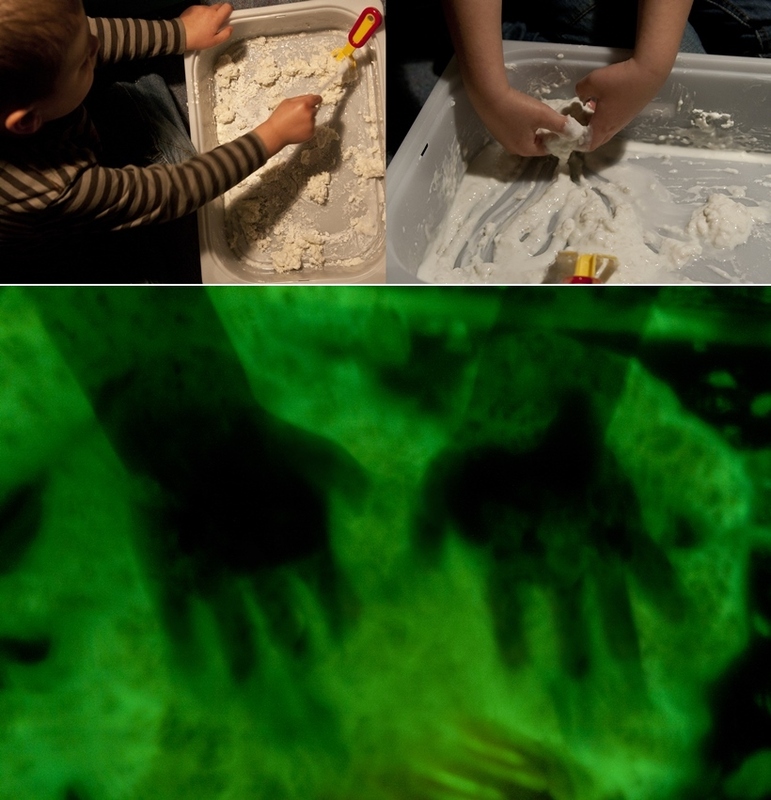 Mix: cornflour + glow in the dark paint. Knead the dough adding some more cornflour or paint if needed. Ready! We started with rolling it and cutting out the shapes. For more fun we mixed it with Glow In The Dark Rice (made with the same method as simple coloured rice - just use glow in the dark paint, mix it with rice and dry overnight). Playdough became crunchy and got nice texture to explore. Exploring playdough and rice wasn't enough for Mr Frog. He decided to check what will happen when we mix it with water! So we did. And we got Glow In The Dark Gloop (just make sure to add just a little bit of water at a time). And then we started experimenting with light. Mr Frog found lots of different shape objects we put in the gloop. Then he used his torch and table lamp to light the objects up. And tried to answer the question: what will happen when we remove the objects and turn the light off? Exploring different textures and experimenting with light. This is awesome! Did you need to use a black light or just the glow-in-the-dark paint?